The look of the LBD is one that will never go out of style. Every woman needs a variety of little black dresses for every occasion, and what better one to add to your collection than one from Bailey 44. We offer a wide selection of cuts, styles, and sizes, so you’re sure to find one to fall in love with! While it is a new year, we’re not completely done with cold weather yet. This cropped faux fur jacket from Bishop and Young will keep you warm while also making a statement to anyone who sees you in it. Pair with light-colored pumps and layer in a simple blouse and you’re sure to have all eyes on you wherever you go. If you’re looking for a great way to accessorize some of your favorite outfits, look no further! 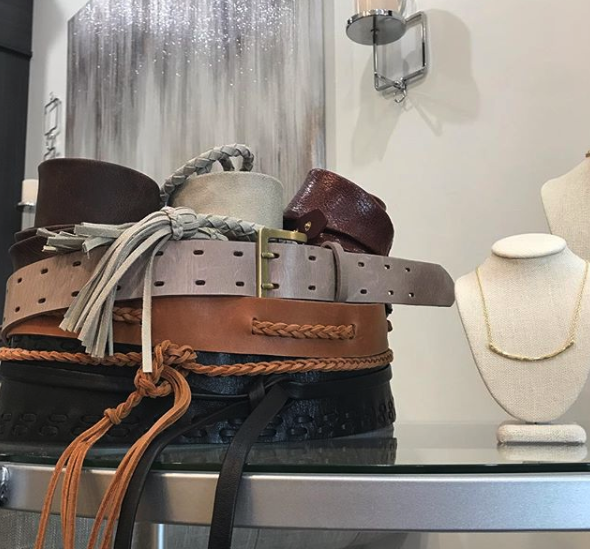 CHIC belts come in some of the most varied styles and designs imaginable and can be combined with multiple pieces that you already own to help expand your wardrobe for all occasions! A personal stylist is the best way to get that perfect blend of fashion and functionality. Stop by the Scout and Molly’s store in Lakewood Ranch and let us help you look (and feel) your best all year long with our fine selection of women’s clothing!